From IMDB: A young boy learns that he has extraordinary powers and is not of this Earth. As a young man, he journeys to discover where he came from and what he was sent here to do. But the hero in him must emerge if he is to save the world from annihilation and become the symbol of hope for all mankind. So, believe it or not, this is the first Superman movie I’ve seen. No lie. I’m not really sure how that’s possible, since I see so many movies, especially of the superhero variety, and Avengers is one of my favorite movies these days. (YES, I know Avengers is Marvel and Superman is DC) 3.5 Stars may not seem like a very good rating to you, but I’m definitely not saying I didn’t like the movie. I enjoyed it immensely. However, compared to other Superhero movies such as Avengers, The Dark Knight, or Iron Man, it wasn’t quite as entertaining. Casting. I thought the casting was excellent for this movie. 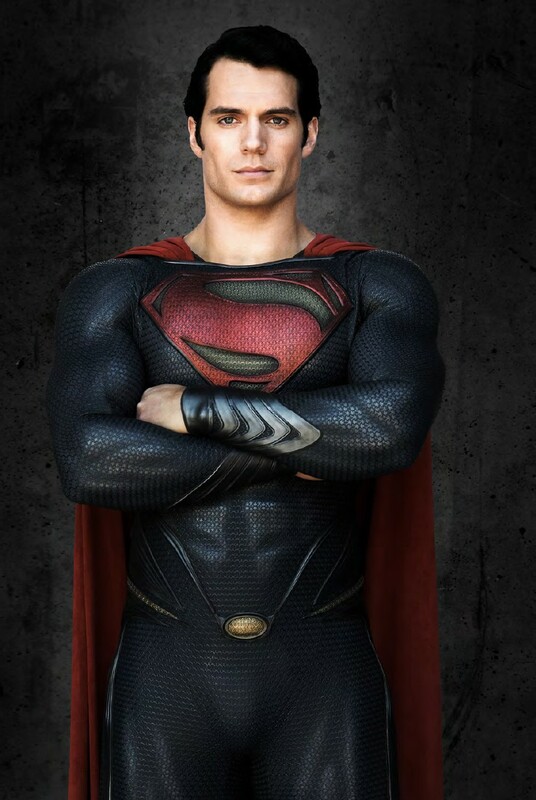 Henry Cavill was handsome and noble as Clark Kent/ Kal-El. I thought that he was a solid choice for the role. The nature of the script didn’t give him a whole lot of space for proving his acting skills, but I thought he did an admirable job. I’m hoping sequels will allow for a little more character development, but for this movie, it wasn’t absolutely necessary. Amy Adams was FABULOUS as Lois Lane. I’ve loved her every since “Enchanted”, and she never fails to entertain. Her Lois is tough, inquisitive, brave, stubborn, and a little stupid at times. But she is very likable; it seems like a part that could be annoying at times(cue Erica Durance from Smallville). The leads had excellent chemistry. That may sound like an easy feat, but believe me, it’s not. You can see it in many movies with a romantic story line; sure, the acting is fine, but you don’t really feel that the leads have chemistry with each other. That wasn’t the case with Clark and Lois; although their relationship hasn’t really developed muchat this point, the actors set a strong foundation for development in possible sequels. I mean, they’re pretty adorable. Now, I wasn’t really bored, per se, but I was slightly tired of seeing CGI Superman fly through walls, or get thrown through walls by other creepy alien baddies. Cause they pretty much DESTROYED Metropolis. By flying through all the walls. All of them. Another thing about Man of Steel is you really have to suspend your disbelief. Not because it’s a Superman movie, but because there are a multitude of plot holes and logical fallacies. Which is totally fine; regardless of these shortcomings, I really enjoyed the movie. But upon discussing it with my family later, I realized how ridiculous some of the story was. But as long as you just go with it, reminding yourself that you’re seeing a movie about a guy named SUPERMAN, then you should be just fine. All in all, a very entertaining action-packed movie. It is certainly capable of supporting sequels. 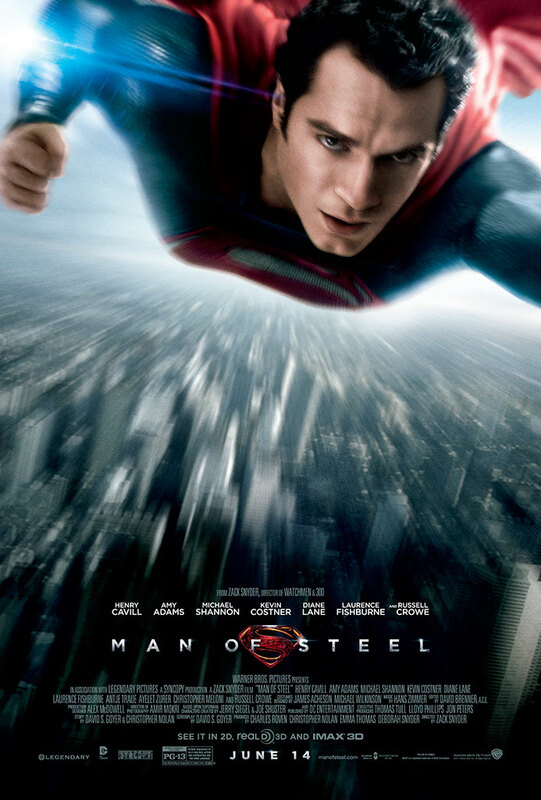 If you, like me, love Superhero movies or action movies, I highly recommend Man of Steel.